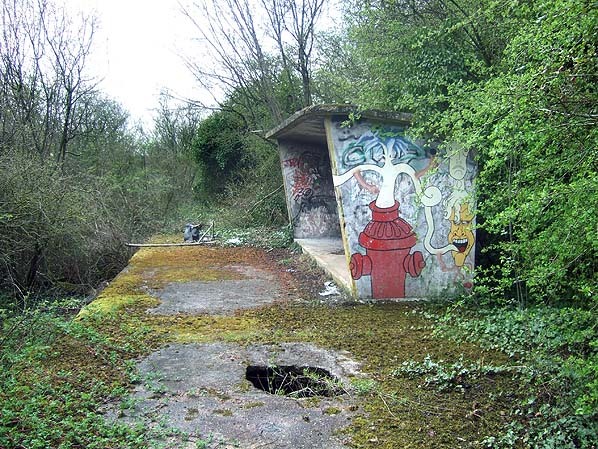 Present state: The heavily overgrown platform and waiting shelter are still extant and easily accessible from alongside the Ashdon Road Bridge. 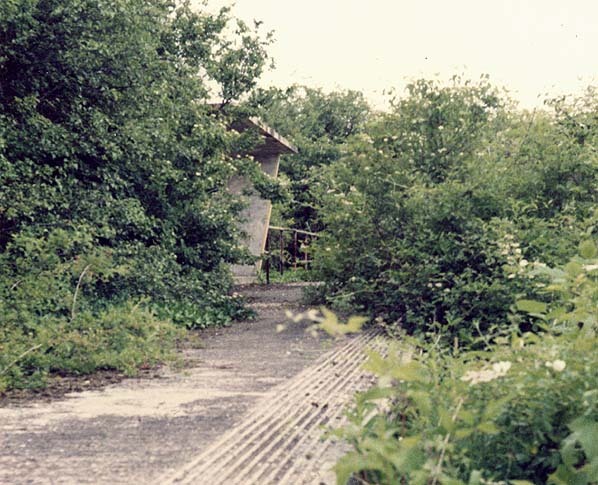 Although most of the platform is covered with impenetrable undergrowth the central section with the waiting shelter is clear of undergrowth. Some embedded rail can still (2014) be seen in the Coronation Works but a planning application has been submitted to the council to redevelop the 45 acre site. Notes: On 25 March 1957 a new halt to serve the workers at the Coronation Works of Acrow Engineering Ltd on the outskirts of Saffron Walden just north of the Ashdon Road underbridge. The halt was constructed by Acrow and donated to British Railways on completion in 1957. The opening ceremony was attended by the mayor of Saffron Walden and the driver and fireman of the first train to call at the halt were presented with a bottle of champagne. The train was hauled by N7 No. 69651. A steeply inclined siding serving the factory left the line via a trailing connection at the east end of the platform; after a short distance this split into three sidings. The sidings were accessed via a ground frame released by a key from the single line token. The factory was not rail served until c1957. 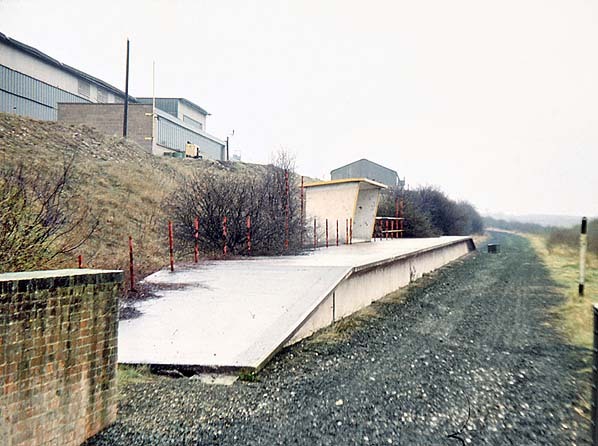 The new halt consisted of a concrete platform with an openfronted concrete waiting shelter in the centre of the platform. At the back of the shelter and inclined concrete path led up to the factory. There were two electric lights over two yellow nameboards that featuring the company 'Acrow' logo. Some of the concrete edging was also pained yellow; this was the company livery. Click here to view a series of photographs of the Coronation works sidings taken in April 2013. Ticket from Michael Stewart & route map drawn by Alan Young. 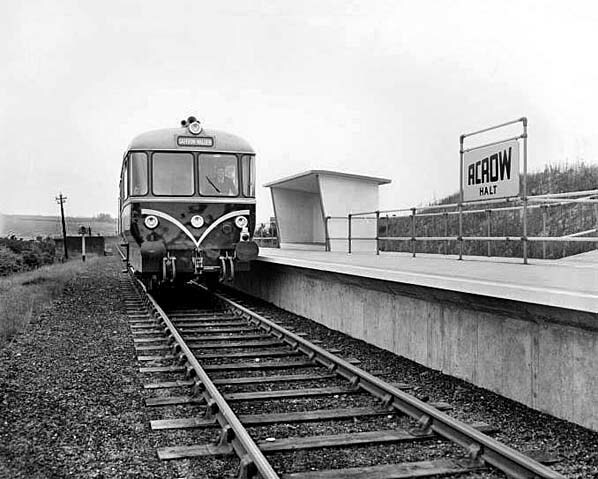 An unidentified Waggon and Maschinenbau railbus is seen at Acrow Halt on an unconfirmed date. Information with the image (click credit below) states '1958-07-06' and then contradicts this with '16 July 1958'. Certain features of the image are not quite what they seem at first glance; the driver is in the near cab of the railbus yet the tail lamp is also in position on this end. Under magnification the 'driver' does not appear to be wearing a drivers' uniform and he is standing rather than sitting. This suggests the person in the cab is some other railway official who has positioned himself in the cab for what is clearly a deliberately posed official photograph. On the conflicting dates, if we take '1958-07-06' (in other words 6 July 1958) as being the correct version, this was the day prior to railbuses taking over the service and this bears out the suspicion of this view being deliberately posed. The destination blind set to Saffron Walden was probably also deliberate as a subtle way of publicising on which particular line railbuses were being introduced: railbuses also took over the Braintree and Maldon branches on the same day. This view also makes clear the simple and clinical, yet perfectly fit-for-purpose, design of the halt. The sloping concrete ramp up to the factory is seen on the right. Note that there was apparently no form of platform lighting at this time. This is a simulated 1:2,500 OS map showing the halt and siding serving the Coronation works. An enlargement of the above map shows the platform shelter and the ramp down from the factory. 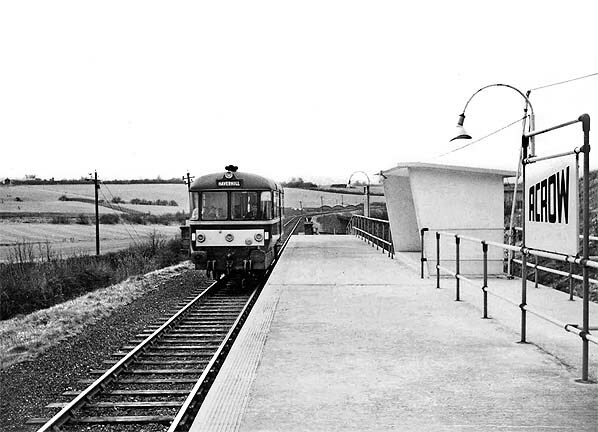 Acrow Halt looking north-west c early 1960s. Note the two nameboards, each featuring the Acro logo. ramp up to the factory. 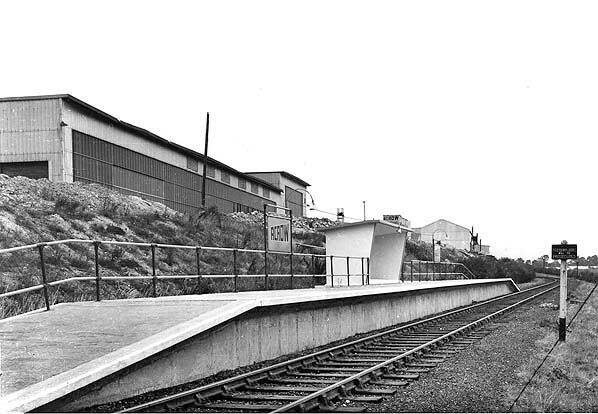 Acrow Halt looking north-east from the Ashdon Road underbridge in September 1969; one year after the track was lifted. The junction with the siding is out of view round the bend. Acro Halt looking south-west towards Saffron Walden in September 1969. 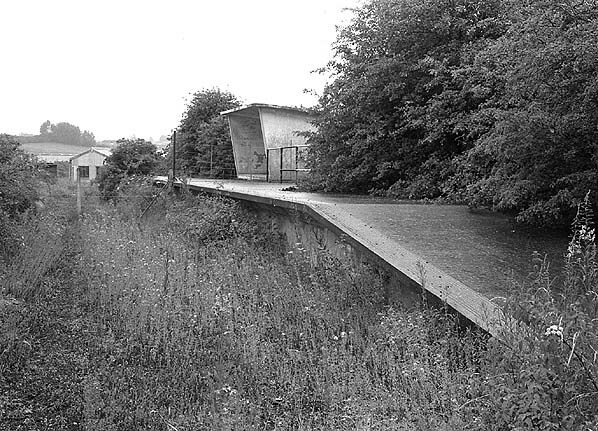 Acrow Halt looking south-west in July 1975; nature is gradually taking over the trackbed and encroaching onto the platform. 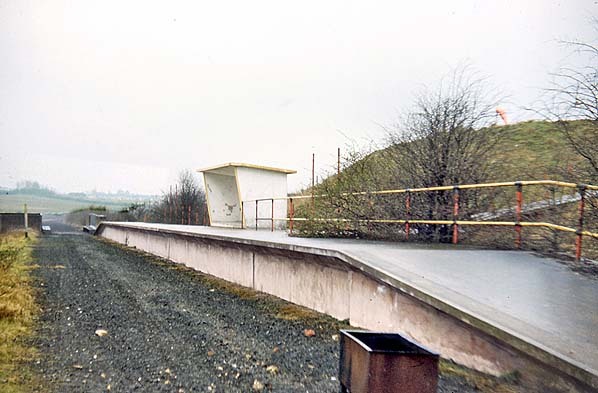 Acrow Halt looking north-east in the early 1980's. By this time the platform was also heavily overgrown. 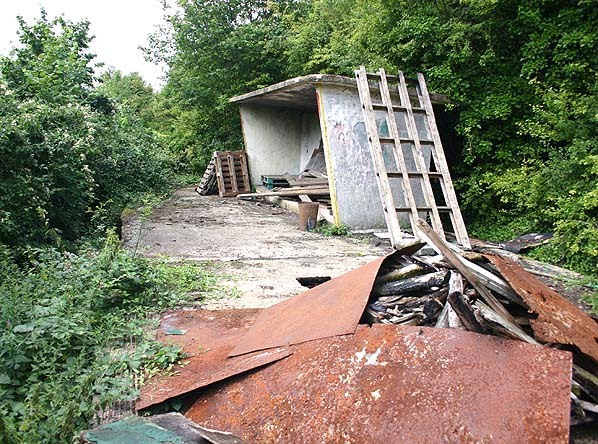 Despite difficulty accessing the platform fly tippers have managed to find a route there to dump their rubbish as seen in this view from August 2005. In April 2013 it was a pleasant surprise to find the rubbish had been removed but the graffiti artists had discovered the site. Perhaps they should have been invited to decorate the rather bland waiting shelter when the half first opened! The inclined path up to the factory in April 2013. 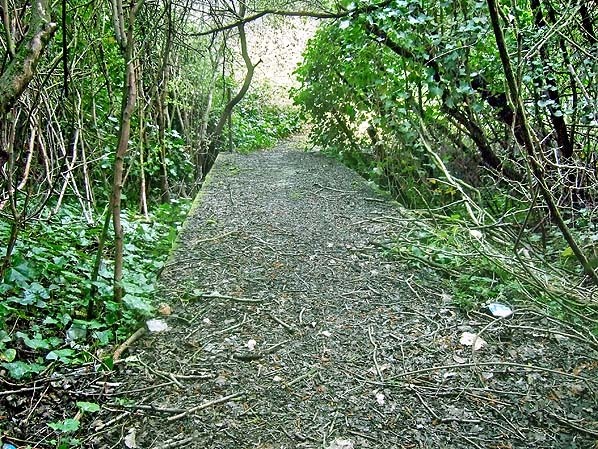 Some undergrowth has been cut away since 2005 making access to the platform easy.